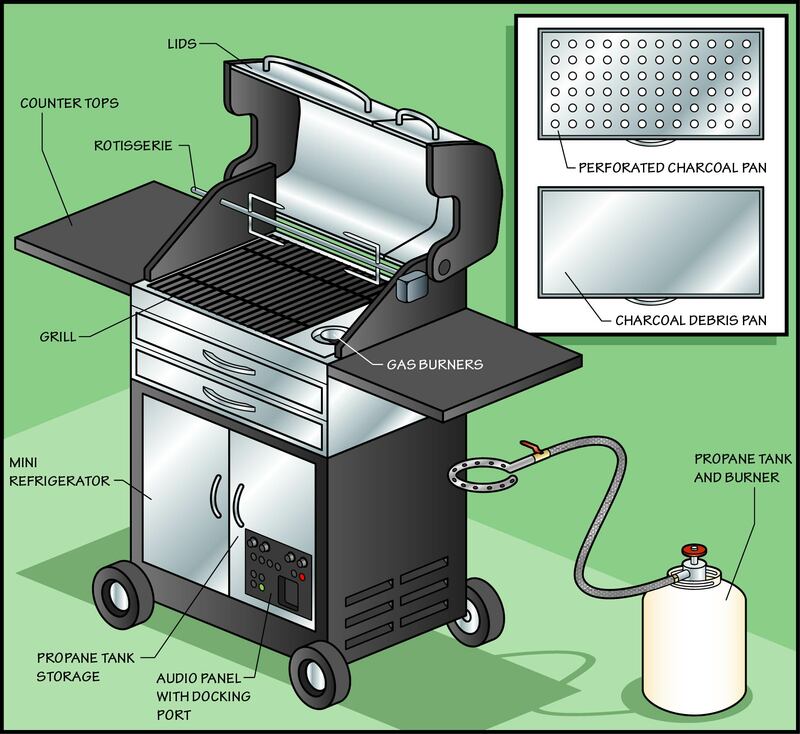 InventHelp®, America's leading inventor service company, announces that one of its clients, an inventor from Michigan, has designed a modified grill that could enable the user to enjoy charcoal flavor while cooking with propane. This invention is patented. The "Charcoal Torch by Ricky'z" would come with an easy-to-use charcoal torch, which could heat charcoal contained in a perforated pan beneath the grill. The unit could enable a user to light the grill without having to use lighter fluid, thus protecting the taste of the food. The device would heat the coals quickly so that a user can begin cooking and eliminate long periods of waiting. The Charcoal Torch by Ricky'z would consist of a modified grill design for use with an accompanying propane-powered charcoal torch. The grill itself is similar in appearance and design to a traditional version. The cooking surface would be a standard grill and below the grill would sit a charcoal pan and a charcoal debris pan. In charcoal mode, the perforated charcoal pan could be adjusted up and down to regulate the amount of heat that reaches the food on the grill. In gas mode, the perforated charcoal pan would allow flames from the charcoal torch to reach food on the grill. The charcoal debris pan would catch debris from expended charcoal. The left cabinet at the bottom of the grill would open to reveal a mini refrigerator. The right cabinet would open to reveal a propane-tank-storage drawer. The door would feature a built-in audio system and MP3-player docking station. The charcoal torch would connect to the propane tank via a flexible hose. The torch itself would feature an aluminum handle with an on/off valve to control gas flow and feature electronic ignition. Countertops would extend from either side of the grill. The grilling surface can be covered with a hinged lid that could attach to the rear of the unit. The grill would also include an added rotisserie. InventHelp® is attempting to submit the invention to companies for review. If substantial interest is expressed, the company will attempt to negotiate for a sale or royalties for the inventor. For more information, telephone Dept. 09-BFT-209 at (800) 851-6030. Learn more about InventHelp® and their Invention Submission services at http://www.inventhelp.com.